Apartment Wildschönau - holiday Wildschönau - Tyrol. 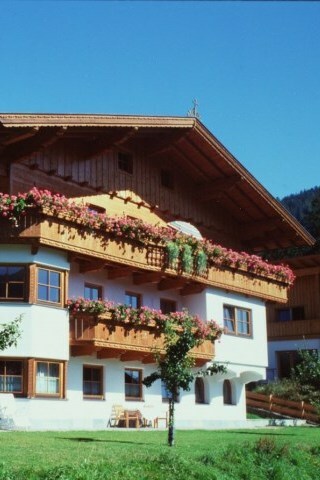 Apartments in Wildschonau Tyrol, welcome to house Moosanger. For your vacation in the Wildschonau we offer ..
3 apartments with garden or balcony for skiing or hiking holiday in Tyrol Austria. Great views from the balcony from your apartment in Niederau, Oberau and the mountains from Wildschonau ranges. Ideal starting point for mountain biking and hiking in Tyrol - Wildschonau. 140 km of tracks for your skiing holiday in Tyrol on Schatzberg and Markbachjoch. 3 fully furnished apartments with 54m ² (2-3 persons) 65m ² (4-5 persons) 72m ² (4 people). Vacation in a small but nice apartment house in the heart of the Wildschonau in Oberau. 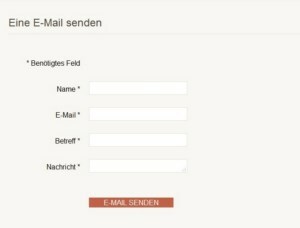 Free WLAN, covered parking, quiet, friendly, nature in the mountains of Tyrol in Austria. The Apartment I ( 54m²) on the 1st floor offer one bedroom, kitchen, bathroom, living room and balcony for 2-3 people. The sunny balcony ( south and west ), allows you to your accommodation in a magnificent view of Niederau, Oberau and the mountains of the Wildschönau. For families with small children, we have high chair and baby bed for you. The apartment II on the 1st floor offer with 65m ² 2 bedrooms, kitchen, bathroom, living room and balcony for 4-5 persons. The large sunny balcony ( south and east) , offer views of the panorama of the Wildschönau Niederau in the east to the treasure mountain west. Start your day with breakfast on the balcony for which we offer you our bread service. The apartment III ( situated in the EG with 72m ²). With two bedrooms, kitchen, bathroom, living room and garden. The accommodation is designed for 4 people. The living room takes you directly into the nice garden. Enjoy the warm summer nights in the garden. Play with the children or grill in the garden. We would be pleased if you would spend the best weeks of the year in house moosanger in Wildschonau Tyrol. Vacation in the Wildschonau Tyrol, spend an unforgettable holiday in Austria. Your vacation in an apartment or pension in the Wildschonau Tyrol in Oberau. Relaxation in the summer holidays with hiking , or winter fun on a ski vacation in Tyrol in the ski resort Wildschonau on Schatzberg or Markbachjoch. The Wildschonau in Austria consists of the four church villages, Oberau, Niederau, Auffach, Thierbach and has 4000 inhabitants. In the summer vacation in the Wildschonau you expect 300 km of maintained hiking trails that are suitable for a walking holiday with children. You need no car to go to the hiking trails. Walk directly from your apartment in house moosanger or pension grünager in Oberau Wildschonau. Winter in Wildschönau is skiing. The ski resort Wildschonau includes 140 km of pistes in Oberau, Auffach and Niederau. On the slopes in Wildschonau are 26 ski lifts. Cross-country skiers offers the Wildschönau in Tyrol 50 km freshly groomed trails.